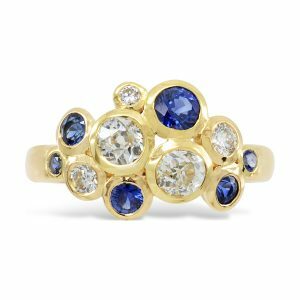 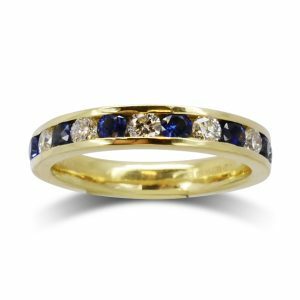 Sapphire is a natural gemstone with excellent hardness, second only to diamond, making it a perfect stone for engagement and eternity rings. 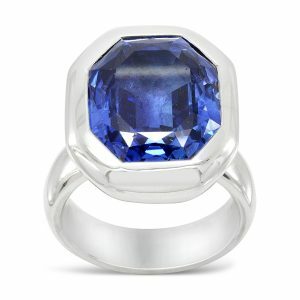 It is the birthstone for September and is given on the 5th and 45th wedding anniversary. 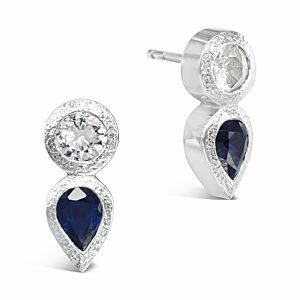 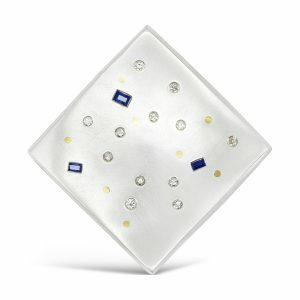 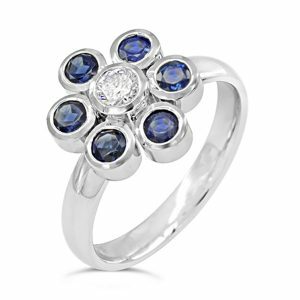 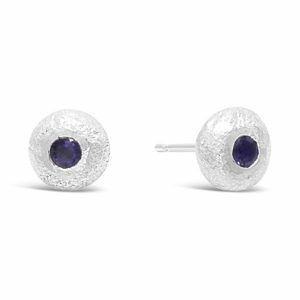 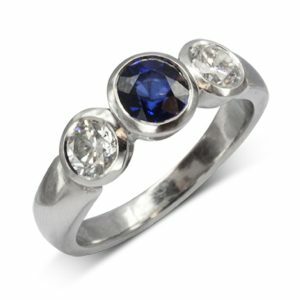 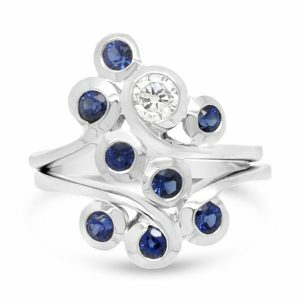 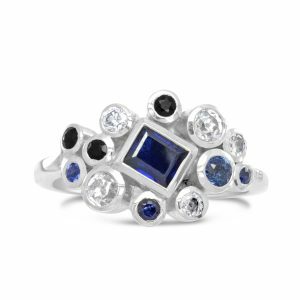 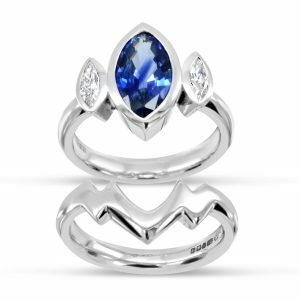 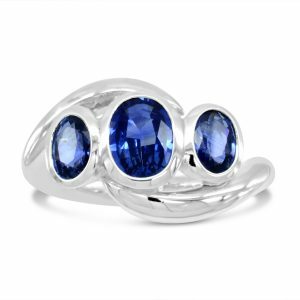 Sapphires come in all colours and their tones can vary from very light to intensely dark. 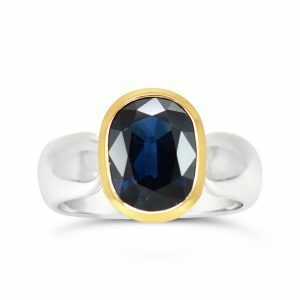 This variation can happen even within one stone (it is called “colour zoning”). 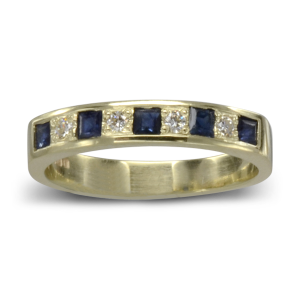 Inside it will often appear to have tiny lines, this should not be considered a defect. 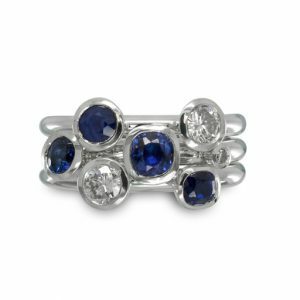 Small inclusions are also a good sign that your gemstone is natural and untreated and form part of the sapphires million-year-old make-up. 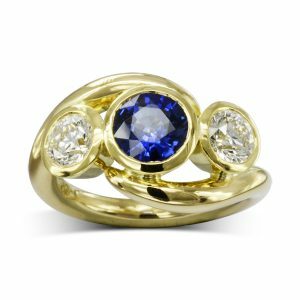 The rare orange-pink variety, known as Padparadschah, can be even more valuable than fine blue Sapphire. 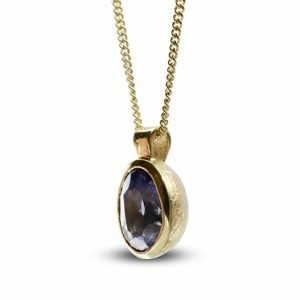 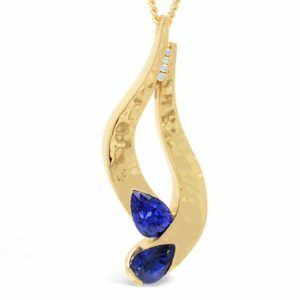 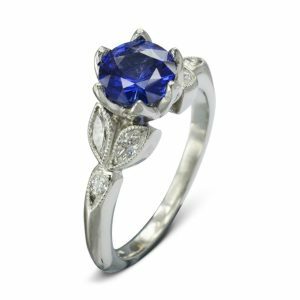 We have an excellent source of fine sapphire from both Ceylon and Thailand if you wish to view a selection and choose a stone for commissioning something special. 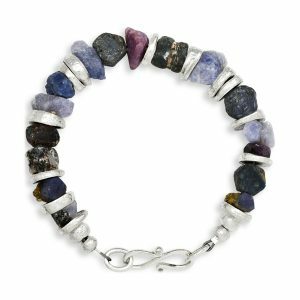 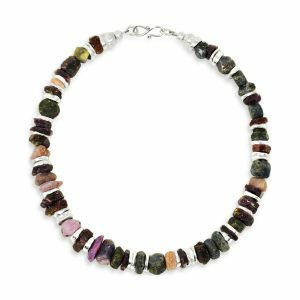 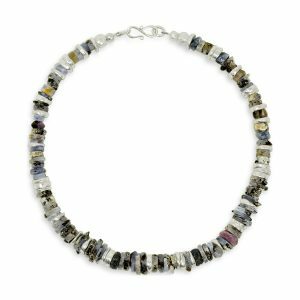 We often use multi coloured faceted sapphires in our famous “nugget” range of jewellery and have recently started to use “Rough” uncut stones to make up unusual bracelets. 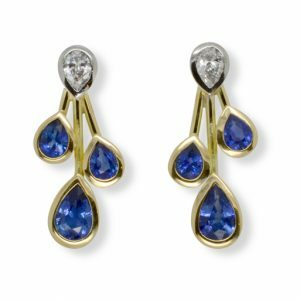 earrings and necklaces in subtle pink and blue hues.